How To Pay Lesser For Insurance Premiums While Getting Higher Coverage? Do you know that insurance is a big part of our lives? In one way or another, most likely we would have more than one insurance policy throughout our lives. Some policies were bought with a clear mind while others were not. We would have spent hundreds of dollars per month on insurance without knowing what exactly we have or will we benefit from it? You may have heard of endowment policies or even have one of these, but what exactly are these policies and how much coverage you are getting? Endowment policies are basically more of a savings plan. The death or critical illness coverage is very little as most of the premiums are put into a fund to earn about 2-4%. Basically, if you pay about $100/month for an endowment policy, the coverage you would be getting will be less than $50,000. For my own endowment policy which I bought many years ago while I was still a student, I pay $80/month and get only $12,000 death and critical illness coverage. This really isn't a lot of insurance coverage. 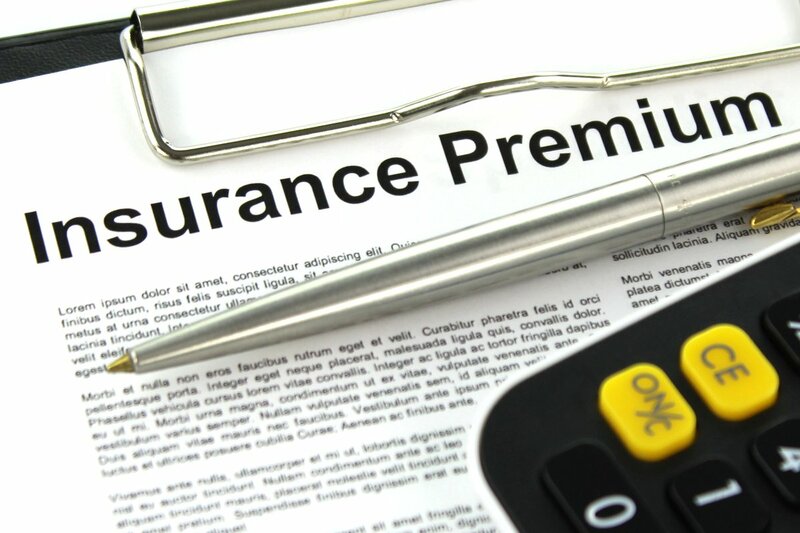 Another popular insurance policy is whole life policy which many people have today. This policy is so popular because insurance agents push it out so much arguing that we need insurance coverage for life. However, if you have this policy, chances are you would be paying a lot of premiums for this policy. A simple comparison on a local insurance comparison portal shows that for a $100,000 death and critical illness coverage, the premiums would be around $2300+ per year. This is about $150-$200 per month. $100,000 death coverage is really little so most likely we will be getting $200,000-$500,000 insurance coverage. How much will the premiums be? For the $200,000 whole life insurance policy, the premiums will be about $4800+ per year. For the $500,000 whole life insurance policy, the premiums will be about $14000+ per year. If you're paying about $400-$500/month for whole life plans, the coverage you would be getting will only be around $200,000-$300,000. Is this enough for your dependants or your family if you pass on? From the above examples, it is clear that the wrong policies bought will result in undermining the true purpose of insurance which is to insure us. There are so many policies in the market but which should we look into to get the most out of our insurance needs? The problem with being under insured is mixing insurance with investments. Every $1 we pay for an endowment plan, only 10 cents may go into insurance while the rest of the 90 cents goes into a fund for investment. This is similar for whole life plans. This is the reason why the insurance coverage can be quite low even though the premiums we pay is higher. If we want to get higher insurance coverage, we should look into term life plans instead. Term life plans are true insurance policies with the purpose for insurance only. There are no investment elements in it. We would get the highest coverage for every premium we pay. However, term life plans get attacked and branded "not a good plan" most of the time by insurance agents. There are good insurance agents around who advocate the best for their clients so I have to clarify this does not applies to all. There is no one size fit all approach. Each of us will have different insurance needs and yes term plans may not cover for life so we can get additional minimum whole life insurance for life coverage. Why term plans are not that popular for insurance agents to market out is simple because of the commission structure. For the first time, the commissions of insurance agents will be revealed in this post, credited to DIYInsurance for writing an e-book to defend term insurance. You can download the free e-book here on term vs whole life insurance. As we can see, the premiums for terms plans are definitely much lower as compared to traditional whole life plans for the same amount of coverage. This also means the agent's commission will be much lower too. In just one example, we would have seen why there is always selling pressure for whole life insurance as compare to term insurance. This article may get more attacks but I hope it benefits consumers as a whole. The next time you get your insurance, think of it solely for your insurance needs first. For investments, there are many other ways to invest like all the many articles I've written. For insurance, getting term insurance to cover most of our insurance needs seems more practical to me. Nevertheless, we can still get some whole life plans to complement if needed. CPF is such a big part of our lives where we use it for housing, retirement, healthcare etc. I've written various articles on how we can use CPF to have a better retirement as well as how CPF actually helps us to purchase our first home. 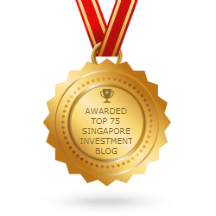 It is indeed an integral part of our lives living in Singapore. The CPF system is here to stay regardless if we like it or not. There have been many changes to the CPF system over the past few years where recently it was announced on more flexibility for us to invest our CPF monies in funds which would yield more returns than the 2.5% we get in our ordinary account. I will blog more on the details in due time when its released. CPF board is holding a series of roadshows and financial talks in the months of August to November with the first one starting this Saturday at Suntec. This is a free to attend event and I think it is a good opportunity for us to learn more on financial and retirement planning. Personally, I'll be going for the event somewhere in October where I'll be more free. Through an interactive and immersive 360° virtual reality experience, members can find out what is their retirement personality. Visitors can calculate how much savings they’ll need to achieve their desired monthly income, and it’ll be given to them in a receipt! After finding out more about their retirement plan, visitors can send a reminder to their future selves to keep them on track! For those of you with children, do bring them along. We have activities such as a DIY First Aid Kit for the kids, and lots of other premiums and activities for the whole family. One of the highlights are the free talks they have. I've looked through the topics and think it is quite good especially for those who are planning to buy their first home or planning for retirement. They have invited good speakers who are prominent in the financial world to give their insights. Some of the topics include buying your first home and future-proofing your retirement plan. For more information on the event, you can go to the website here. What makes a person poorer each day? Is it his daily expenditure? His compulsive spending habits? His indulgence on food? You may be surprised that getting poorer is not so easy. Spending money on food, buying clothes etc will not make us that much poorer. To be honest, how much can you spend on food or buying clothes? 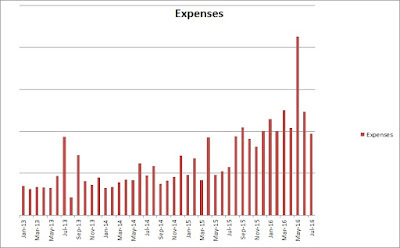 In April this year, I wrote an article declaring that I will stop tracking my daily expenses. In the past, I used to track every single spending I had in an APP but it wasn't that useful for me. Yes it made me conscious of my spending and I did save a lot of money but that is not what I want to live my life on. Being too frugal can have an adverse impact on our lives instead. Now, I only track my expenses on a monthly basis and I found that even after I stop tracking my daily expenses, the effects are not that much of a difference, only a slight increase except for a month where I went overseas. 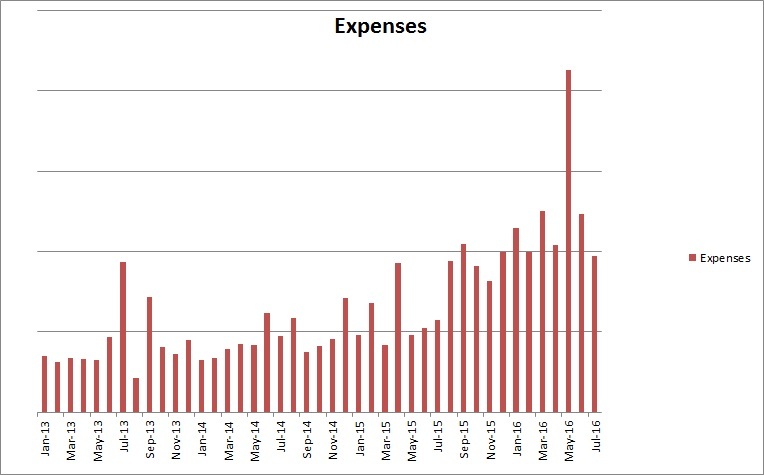 Expenses has gone up over the years and I'm actually happy that it has happened. The irony is when expenses went up, my income went up as well. Now, back to what will cause us to be poorer each day. The answer is LOANS. There are many different types of loans or what we call as debts but some of them work differently from each other. Let's look at some common loans and see whether will they actually make us poorer? Car loans is quite common in Singapore. Due to the high price of cars now, how many people can actually affoed to pay that $100,000+ in cash for that car? Housing loan is even more common in Singapore. We can choose not to have a car but we need to have a roof over our heads. For this illustration purpose, I'll be using a mortgage calculator from MoneySense. For the above example, the monthly instalment will be $1388.23. Total interest paid at the end of 25 years will add up to $110,468.61. This is 32.49% of the property price value. The interest paid is quite scary to be honest. This means if your property price is not more than $416,469 in 25 years and you sell it, you'll be making a loss instead. Nevertheless, if we calculate the average interest paid yearly, it is only about 1.29%. This is because housing loan interest are amortised. This means the interest is calculated based on the remaining loan amount yearly as compared to a car loan which calculates interest base on the initial loan amount. Credit card is not considered a loan but it is a debt if we missed the payment or did not pay the bills on time. 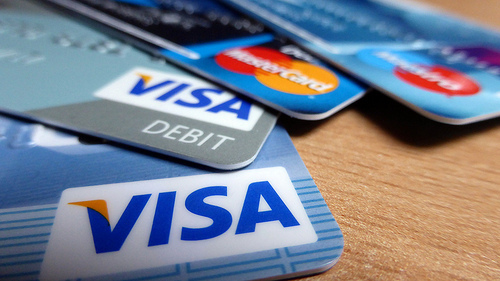 Let's see how credit card interest is calculated and what happens if we did not pay the bills. Base on the above example, if we did not pay a single cent on the amount owing, the $1000 debt would grow to $2000 in 3 years. This is double of the initial amount of $2000. The reason why it doubles is because interest is compounded on a monthly basis. To calculate how long it takes for your credit card debt to double, you can use a simple method called the rule of 72. By using 72 divided by the credit card interest rate per annum, you will get the number of years which the credit card debt will double. In the above example, it is 72 divided by 24 which is 3 years. Another thing to note about credit card is if we were to make partial payment, the payment paid will be used to pay for the interest first before it is used to pay for the outstanding amount. For example if the credit card debt is $10,000 and interest is $240 per month, if we just pay $240, the initial debt of $10,000 will not reduce at all. We are just paying interest every month for as long as it goes without reducing the debt amount. Loans or debts can cause us to be poorer without us realising it. Our daily expenditure or spending money on food or clothes can be consciously tracked but for loans, it is sometimes hard to visualise exactly how much money we actually pay for the interest. Before committing to a loan, we should know how much interest we are paying. For debts, we should not get into any in the first place as it can be very hard to get out base on the example above. Make the right financial choice today!